Ben and Sebastian are two hopeful entrepreneurs who met while on exchange in Australia. 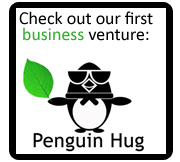 Our first shared business venture was an investment into an old fire-engine red Ford Falcon, which ferried us faithfully across the outback until its gruesome end: a kangaroo jumped in through the windshield, and the car ended up wrapped around a tree. Luckily there were no casualties, except for the kangaroo (and he had it coming). We assumed things could not get worse after this, only to find a few years later that both of us were working as management consultants, and growing increasingly envious of the kangaroo’s fate. We suspected there might be more to life than repeatedly staring at PowerPoint slides and Excel spreadsheets at 1 am in the morning, and decided to leave consulting and try our hand at various avenues of entrepreneurship and a more creative existence. Nowadays both of us spend our days doing pretty much whatever the hell we feel like. Sebastian is a freelance (or shall we say renegade) psychologist living in Berlin and Ben is an aspiring bon vivant living in Helsinki. In many ways this blog is a byproduct of our rediscovery of this amazing thing called “free time”, as well as our shared interest in productivity, lifestyle, health and of course all things awesome. All data and information provided on this site is for informational purposes only. handbookofawesome.com makes no representations as to accuracy, completeness, currentness, suitability, or validity of any information on this site and won’t be liable for any errors, omissions, or delays in this information of any losses, injuries, or damages arising from its display of use. All information is provided on an as-is basis. handbookofawesome.com routinely contains links to external, third party websites. By providing links to other sites, handbookofawesome.com does not guaranee, approve or endorse the information or products available at these sites, nor does a link indicate any association with or endorsement by the linked site.